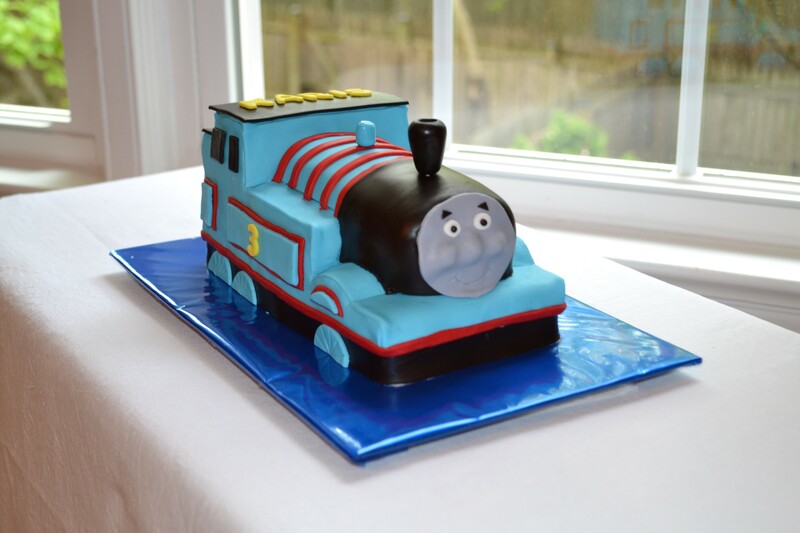 My client for this cake had one request only: A Thomas the Train cake. She gave me free reign to design it anyway I liked and did not have a preference for a tiered vs. carved cake. Because she was having a small party, I decided that a carved cake would be best as I try to stay away from just a simple 8-inch round cake- I just don’t find them very fun or grand. If you are interested in a larger carved cake, I could easily use two batches (or more!) of cake so more guests could be served.